I sure hope you've reserved the best seat on the couch for yourself this weekend, because I have feeling that the 2016 MTV Video Music Awards is definitely going to be one that you don't want to miss. And why? 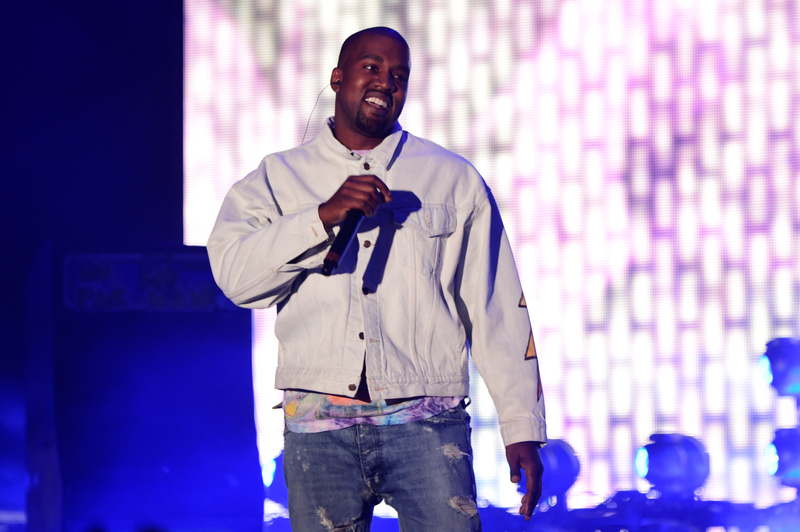 Well, TMZ is reporting that Kanye West will be at the MTV VMAs, and even better, that he's allegedly being given a four minute slot and "free reign" of the stage to do whatever he wants. Entertainment Weekly has since verified the report (though without mentioning the four-minute slot), so I bet your mind is already racing with the possibilities. I mean, what could Kanye be doing at the VMAs this year? As the undisputed rebellious king of the award show, West has already racked up some memorably unexpected scenes at past VMAs. There was the 2015 VMAs where West announced his desire to run for president in 2020 during an 11-minute monologue. And who can forget the 2009 VMAs where West interrupted Taylor Swifts acceptance speech by storming the stage and suggesting Beyoncé deserved it more? West is completely unpredictable, which makes him something of a delight, and a terror, to watch during award shows. So what could be up to at this years VMAs? Well, I've been thinking, and there's some possibilities — ranging from the very likely, to the truly ludicrous. West is a total unpredictable enigma, and he likes to shock and surprise in equal measures. He's also a man of many talents, with an eye for both art and fashion. I'm not going to speculate on what the "new project" could be, but it could be anything from a new music video, song, short film, or art project that nobody has had any idea about him making. Likelihood: 7/10. And it would likely be one of the best uses of his time. Just imagine it: A timer starts. Yeezy walks out onto the stage to rapturous applause wearing a black t-shirt that says "Famous" on it. He stands in complete silence. The applause fades. He looks at his phone. He takes a selfie. He posts a tweet. He sits down, stands up and then walks off the stage once the timer reaches the four minute mark. Fame, people. Likelihood: 8.5/10. So wonderfully plausible, I feel like I might have already spoiled the surprise of his potential guest appearance. After Bowie's devastating death at the beginning of this year, there were rumors (which were promptly denied by his team) that West was working on a tribute album of Bowie covers. He may never have had any intention of doing such an album, but it would make sense that he may use the VMAs as the space with which to do a tribute to Bowie. Likelihood: 6/10. And it would have to be the song "Fame," right? Too perfect. If rumors are to be believed then Swift, whose videos didn't receive a single nomination at this year's awards, won't be in attendance at the 2016 VMAs — which surely gives West even more free reign with which to once again target her on stage. And following the controversy that came with Kim Kardashian West sharing the audio of Swift's phone call with Kanye (in which she allegedly approved of one lyric in "Famous"), it seems perfectly plausible that he'd want to rehash the whole thing again in front of a live audience. Likelihood: 5/10. It would probably be way too trashy an idea for him, right? Come on, Kanye. Prove that you're better than that. West is a man with a lot to say, and considering the current intense political climate, it wouldn't be too surprising to discover that he wants to take to the stage in order to try and make an influential statement. Likelihood: 7/10. West is incredibly smart and supremely switched on, so this would actually make a lot of sense. Kim is apparently one of the presenters at this years VMAs, which creates the perfect set up for her husband to serenade her on stage for four minutes whilst she waits to give someone their Moon Man. Will they be straddling a motorbike together like in the video for "Bound 2"? Probably. Likelihood: 9/10. Nobody knows love like Kim and Kanye know love. I'm expecting rose petals, rhymes, and some sort of a love-throne to happen. If there's one thing I've learnt about West from his awards appearances and his unfiltered Twitter feed, it's that he genuinely doesn't care if he makes people feel uncomfortable. I can easily imagine him approaching stars, asking them the one question that will make the squirm down the microphone and then storming off to his next celebrity before they even get the chance to answer. All whilst "Famous" plays in the background, of course. Likelihood: 6/10. It sort of fits with the theme of the lyrics and video for "Famous" and also, I can totally see him getting a kick out of this. This would be a huge deal and would totally take over the VMAs. Likelihood: 2/10. Bey's likely going to be doing some spectacular performance of a song (or a medley of songs) from Lemonade, which West was not featured on. So it sadly seems super unlikely this time round. How many Moon Men could Kanye collect in one night? His music video for "Famous" is already nominated in two categories (Video Of The Year and Best Male Video), but don't be surprised if he suddenly feels the need to make up a few more categories and reward himself just a few more well deserved accolades. Likelihood: 4/10. I can see this being more likely if and when Swift happens to be in attendance, purely to rub in the fact that she didn't get a single nomination. But without her? Well, where's the fun? There's still no news on who is hosting this years VMAs, and as such just imagine how anarchic the show could get if Kanye has the chance to host the whole event with his wife (or even on his own. I'm more than happy with either option). Likelihood: 9/10. And it would be a spectacular. Whether he's aware of it or not, there's definitely the makings of a great comedian somewhere in West's persona. He's just so straight faced and earnest about everything, you know? And that can make for some great, deadpan delivery. Likelihood: 5/10. Remember when Kanye tried to create an improv comedy show in the style of Curb Your Enthusiasm back in 2008? Because that totally happened, guys. The man has comedy in his bones, just waiting to let loose. As we all remember from the err, on-stage altercation between himself and Swift in 2009, West has some very strong opinions on what makes a great music video. Perhaps, he'll be dishing out some honorary accolades to recent music videos which have made an impression on him. Likelihood: 5/10. Personally, I'd love this. I think it's about time that West starts up his own review blog so we can really find out all of his opinions on music, art, TV and film all year round. Guys, I'm gonna say it right now: If Kanye is at the VMAs only to present a Moon Man to someone then I'm going to very, very disappointed. Still, if anyone can make headlines simply presenting an award, then it'd be him. Likelihood: 1/10. MTV know better than to waste one of their very own award show legends on something so banal. Honestly, at this stage, who even knows what West has up his sleeve for this years VMAs. But whatever it is, I'm almost certain that it's going to be something memorable and I can't wait to see it.